Tell us about how Empire was started? I founded Empire in 2016 after working with a large single family office for many years, and failing to find software that adequately met their needs. In 2015, I spent more than 6 months trying to find a piece of software to digitize the family office — something that united all activity in the family office, from the investments and finances to the trust and estate planning, communication, artwork, insurance policies and more. I found that the software options for family offices largely focused on specific verticals and did not fully integrate together or have the holistic view required to adequately represent the family office. Additionally, most of the software was not user-friendly or intuitive, and required the advisor or family office manager to reformat information, generally using Excel, to present it to the clients and family members. Empire was created to focus 100% on the end-user — the family member themselves. Our team created Empire’s intuitive design to give a high-level glance at account balances, key dates, and activity by each advisor. Users can drill down to individual transactions within a specific entity within just a few clicks. Our software is held to higher security standards than most banks and we are onboarding institutional clients now almost purely because of how secure it is. Outside of security, we also spend a lot of time bringing Empire to our phones — this is a key differentiator between Empire and other software packages. Family offices that use Empire are much more efficient with day-to-day tasks, and at the same time, we give them a tool for family communication and large generational transitions. Who is your target audience and what sets Empire apart? We work with a number of family offices and multi-family offices. We came from a family office that was still owning and operating properties, so the platform goes very deep into all of the entities and trusts for the family. We have recently had a huge demand from international family offices, and are working on implementing multi-currency into the platform. Beyond the family office space, Empire has found significant traction in the business management and CPA space. Similar to family offices, they are underserved markets that rely heavily on back-office software, manual aggregation in Excel, and PDF reports to clients. They have very close relationships with their clients, as they handle day-to-day finances, insurance, bill pay, budgeting, family communication, and other concierge services. CPAs are proven to be the most trusted advisors of high net-worth clients. They are a massive and growing market with almost 3 times as many CPAs and business managers in the US than RIAs and financial planners. They struggle to differentiate their firm. Empire gives them a branded web and mobile app that seamlessly aggregates accounting information, finances, and investments with insurance, estate planning, documents, contacts, health information, and everything in between. If a piece of software represents 90% of a family office, that last 10% takes a huge amount of time and inefficiency for the family office to manage. When we created Empire we sought to represent the full 100% of the family office. Our goal is to build pipes out to the accounting systems, to the investment aggregation and reporting platforms, to the custodians and insurers, so that information flows seamlessly into Empire. How does Empire maintain its connection to family offices in a tech focused world? We work very closely with all of our users, and most of our staff come from family offices. We are constantly gathering feedback to improve the platform, and we are generally rolling out new updates every 2 weeks. Technology doesn’t work by itself — it takes a human element to make this successful. We recognize that Empire is a tool to help advisors and family offices do what they do best — advise, manage and build the success of their clients. We are developing key partnerships in the investment aggregation space, with insurers, security companies, and accounting platforms. We don’t need to reinvent the wheel, our focus is to unite these platforms together into a single portal that can be shared between family offices, their staff, and their trusted advisors. Our mission is to bring peace of mind that your family’s interests are protected by coordinating your team during life’s moments and making sure all are executing on your instructions and allowing your family to focus on the event, not uncertainty. 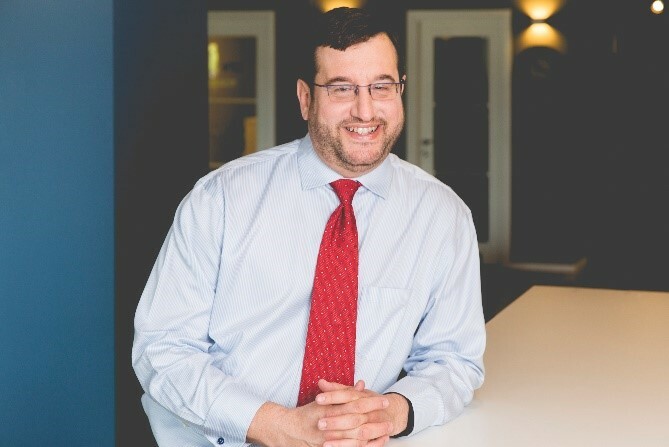 Matthew Hoffman is the founder of Empire Software Inc. and has led the development of Empire since its inception as a commercial venture in 2016. In 2013 Matthew founded Blank Space, the largest organizer of creative competitions in the world. With thousands of participants in each competition, Blank Space has uncovered the true power of design by creating new opportunities for design to engage the public. 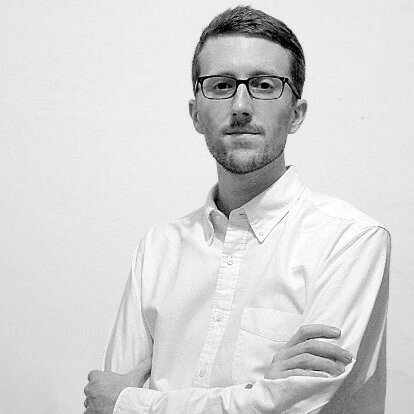 Trained in architecture at Penn State University, Matthew’s work as a Business Manager and Communications Director in a variety of companies, including HWKN (Hollwich Kushner), has driven teams to produce better products and generated public engagement around well-crafted ideas.